Providing Internet services since 1993. 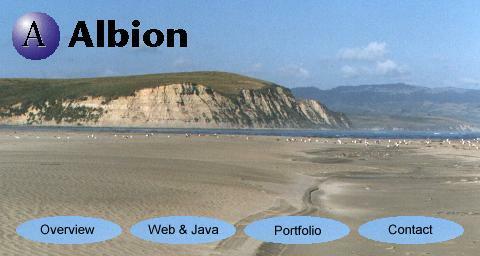 Albion.com is an experienced provider of web and Java development services. We serve corporate clients who want to maximize the value of their businesses by the strategic deployment of Java programs and other advanced Internet technologies. We have several popular web sites to our credit as well as ground-breaking computer books, including Netiquette by Virginia Shea and The Newbie's Guide to The Microsoft Network by Michael Lehman. We've also developed electronic commerce systems, produced live chat events, provided online help services, and managed busy Internet mailing lists. Press the forward arrow below to find out more about our services, the work we've done, and how to engage our experienced team to achieve your goals on the web and beyond.